Fussing is by far the most commonly known crying behavior in babies. The Philips AVENT Classic feeding bottle SCF683/27 significantly reduces colic and fussing. Fussing is reduced especially at night. Unique valve on the teat flexes to your baby's feeding rhythm. For additional comfort, milk will only flow at the pace chosen by your baby. 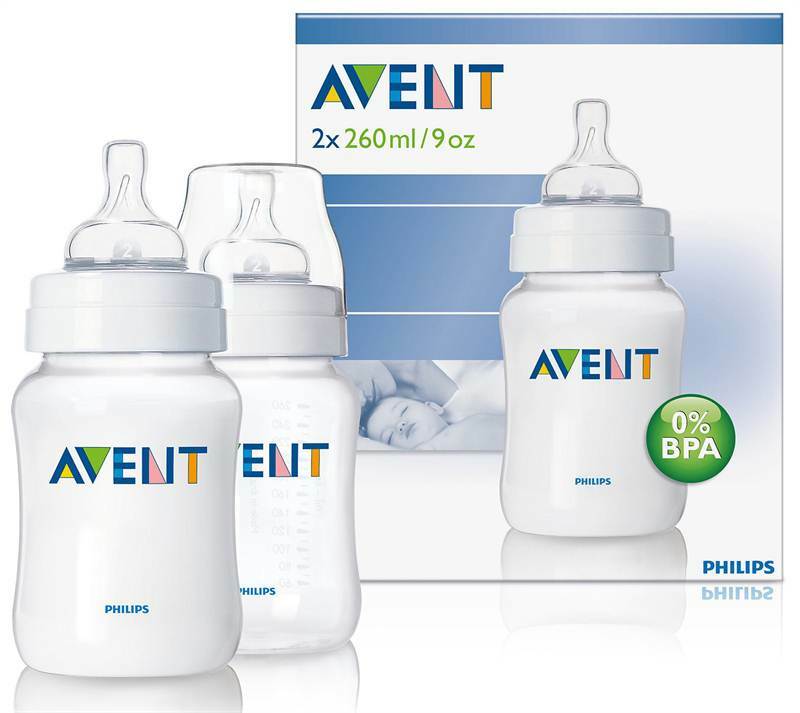 The Philips AVENT Classic bottle offers different flow rates to keep up with your baby's growth. Remember that age indications are approximate as babies develop at different rates.